The Nigeria Customs Service (NCS) Apapa Area Command has revealed that two thousand, five hundred containers, 2500, were blocked and forced to comply with the requisite guidelines in 2018 while the Command generated N404.0 billion. The figure which accounts for 95% of the Command’s annual revenue target for 2018 is also an improvement on the N350.9 billion it generated during the same period in 2017. 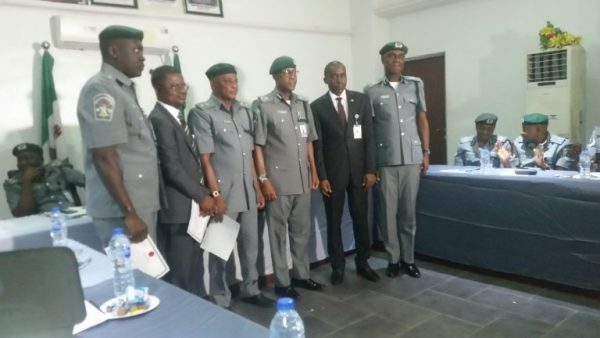 According to the Customs Area Controller of the Command , Comptroller Bashir Abubakar, who made this known while briefing the newsmen last week, the enhanced revenue generated could be attributed to the selfless service of officers as well as the support and backup by the Comptroller-General of Customs, Retired Col. Hameed Ali and his management team.